Climbing mountains is an age-old pastime, but Mt. Gyejok Red Clay Road in Daejeon City, in the central region of South Korea, famously puts a twist on the activity with its barefoot hiking. The attraction was created by Cho Wung Rae, president of the Mackiss Company, a regional distiller of soju traditional Korean liquor. The idea behind it is indeed simple. Cho got the idea after his first experience of barefoot walking in 2006 while on a normal hike with friends. A woman in his group was tottering on high heels, so he gave her his shoes and walked barefoot on the gravel path. That night, he realized the positive effects of barefoot walking: sound sleep and stress release. He wanted to share his discovery with as many people as possible. So he began spreading red clay, which is pleasing to the touch and warms the body, over a 14.5-km gravel path. The trail was one of the site visits during the recent World Journalist Conference, which I attended. The Journalists Association of Korea invited more than 70 journalists from 50 countries to attend the annual international conference in the last week of March. Upon arriving at the entrance to the red clay road, we received a clean towel to wipe away the sweat and also to clean our feet after walking. Mr. Cho was waiting for us there to join the walk. If you don’t want to walk barefoot on the red clay road, you can walk on the normal road. As walking on the clay road is believed to have health benefits such as preventing and healing diseases and stress relief, I chose to take off my tight shoes and do the barefoot hike. To keep the red clay in optimum condition and offer visitors maximum healing, tons of red clay are spread on the trail and watered every day. Cho said the cost is covered by his soju company’s profits. A Barefoot Festival is held every May, and the Mackiss Opera holds a “Fun Fun Classic Concert” every Saturday and Sunday at Mt. Gyejok. This simple but innovative idea made me think it would be great if the leading business groups in our country offered such contributions to the community. That’s not to say there are no businesspeople in Myanmar giving back to society. But mostly it is in the form of customary donations and other charitable activities. Innovative ideas like the Mt. Gyejok Red Clay Road create enjoyment for the community while boosting their health and connectedness, and increasing their incomes. At Mt. 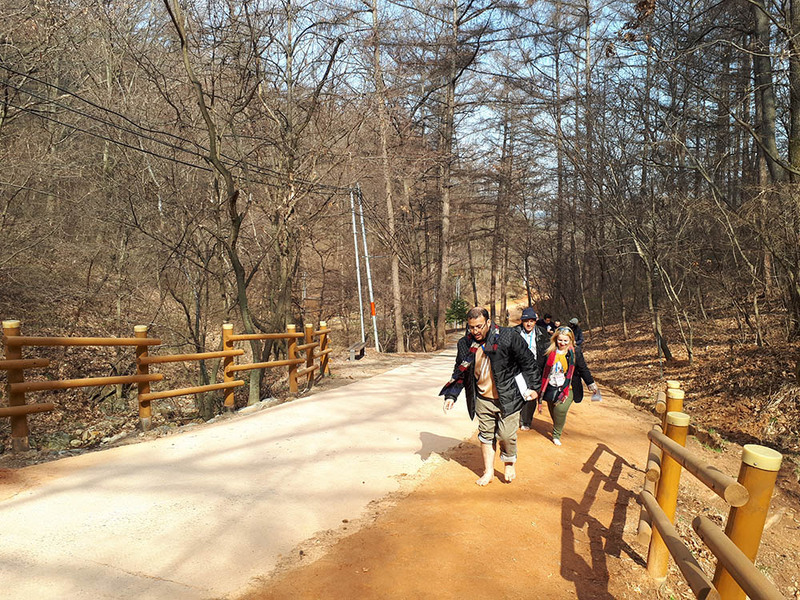 Gyejok Red Clay Road, what began as a simple idea to share one man’s joy with more people has became a famous landmark and “eco-healing” spot in South Korea, attracting more than 1 million people yearly. It has been selected as one of the Korea Tourism Organization’s must-visit tourist spots in from 2015 to 2020. 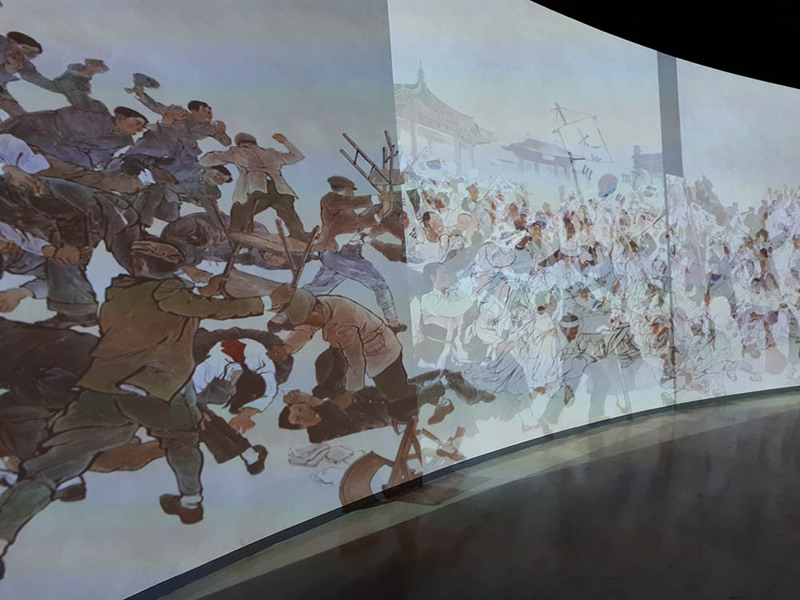 While visiting heritage and cultural sites and different cities in South Korea during the week, the government’s investment in Artificial Intelligence (AI) was visible. In Daejeon, we toured the government-funded Electronics and Telecommunications Research Institute. Daejeon’s vice mayor for political affairs Park Young Soon said the central government allocated annual budgets for the research institutes, though he declined to provide precise figures. The democracy-activist-turned-vice mayor told me he is a friend of Min Ko Naing, a well-respected democracy activist and former political prisoner in Myanmar. The vice mayor was also once imprisoned for his political activism. The modern histories of Korea and Myanmar include similar popular struggles for democracy against dictatorships. 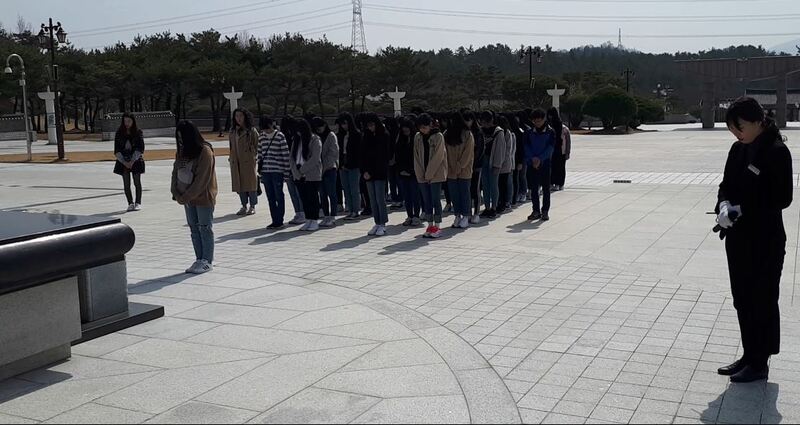 One striking difference, however, is that Korea now has a national cemetery and memorial hall to honor the fallen heroes and those who didn’t hesitate to sacrifice during its May 18 democratization movement in 1980, centered in Gwangju City. Those responsible for the massacre also stood trial murder and insurrection. In Myanmar, despite the push by the 88 generation student leaders who took part in the country’s popular 8888 Uprising in 1988, which ended in a bloody military coup, to establish a history museum, none has been established to date. The current Yangon regional government has agreed to do so and held meetings with the organizing committee for the 8888 museum since 2017. However, they have been unable to reach an agreement regarding land acquisition for the museum. Our group also got to visit the Independence Hall of Korea in Cheonan—a Korean history museum focusing on the oppression of Japanese colonial rule and Korea’s independence movement. Out of seven indoor exhibition halls there, I got a chance to explore two. 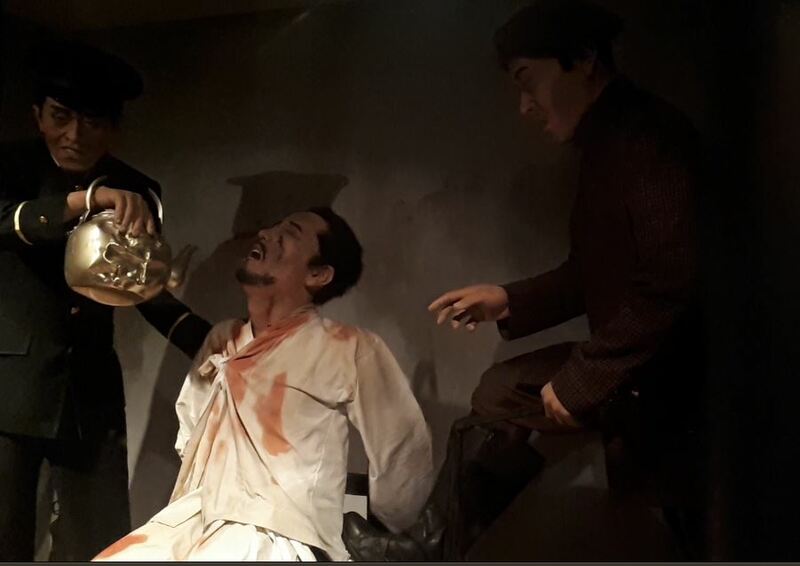 Unlike museums in Myanmar, the exhibition tour is exciting, as it displays not only a collection of historical materials but also interactive displays depicting scenes of how Korean freedom activists were oppressed and tortured featuring sensor-triggered figures, and canned screams of pain, bringing Korean history alive. The exhibition tells “how a human can be cruel and how a human can be strong,” a guide from the museum told us. Being both educational and entertaining, the museums in Korea seem popular among both foreigners and locals. It was crowded even on the Friday when we visited. The old and the young as well as military personnel were seen visiting the museum. It also served visitors well with a large space, rest areas, food stalls and parking facilities. Visitors can also participate in an audio tour while listening to a detailed audio guide available in English, Chinese and Japanese. 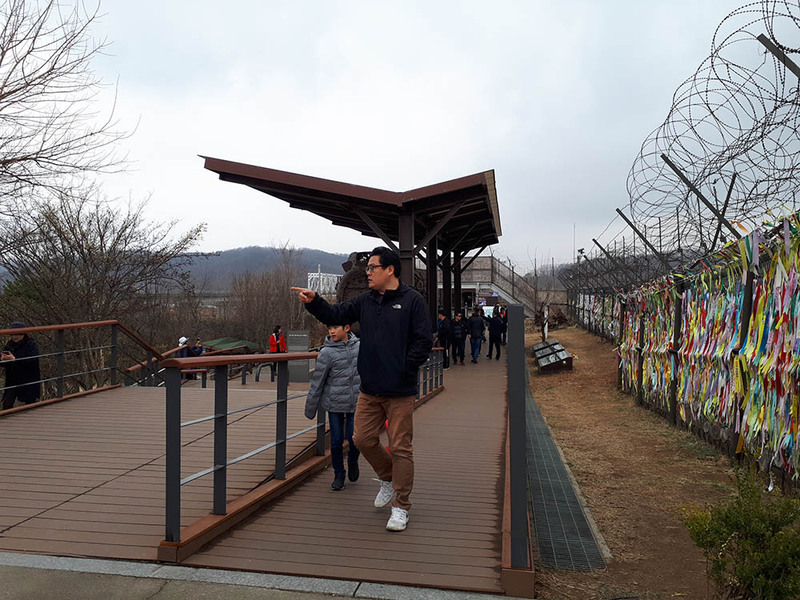 After the conference, I got a chance to join the Demilitarized Zone (DMZ) tour at the invitation of the Korea Tourism Organization. 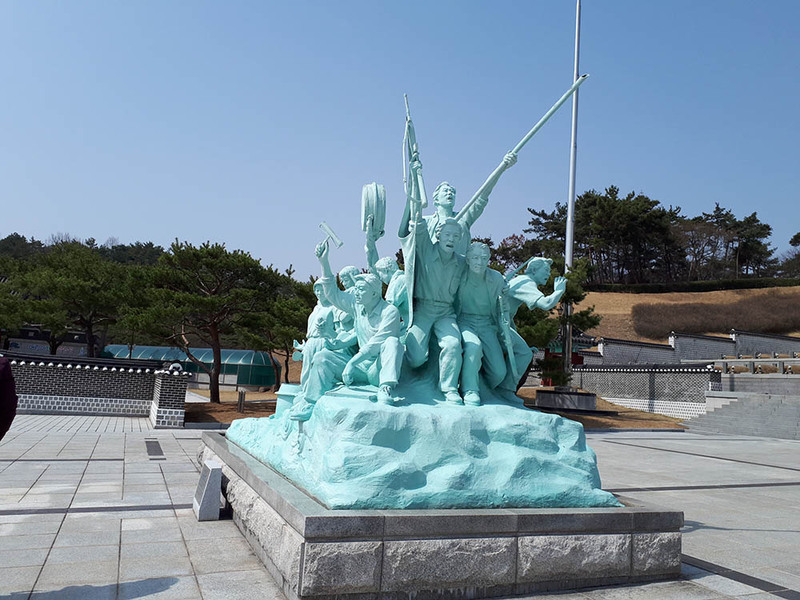 The DMZ was established in 1953 when the armistice deal was signed between the two Koreas to serve as a buffer zone between North Korea and South Korea. The stops on the tour included the Imjingak tourist site, which exhibits various artifacts and monuments related to the Korean War, the 3rd Tunnel, one of four tunnels built by North Korea into the South that have been discovered; the Dora Observatory, the closest area to the North, where people can see North Korea by telescope; and the youth hostel at Camp Greaves, where one can spend the night. Camp Greaves is a former U.S. Army base located within a restricted area renovated into a DMZ experience site with lodging facilities. We weren’t allowed to enter the Joint Security Area (JSA) where North and South Korean forces stand face-to-face because of security reasons. One person in our group speculated that top-level inter-Korean talks for the unification of the two countries were being held. But we did get a chance to explore the Civilian Control Line (CCL), an area normally restricted to civilians. Without permission to enter you would immediately be shot, our guide warned us. No photos are allowed and 360-degree CCTV cameras placed along the line checked each of us out. 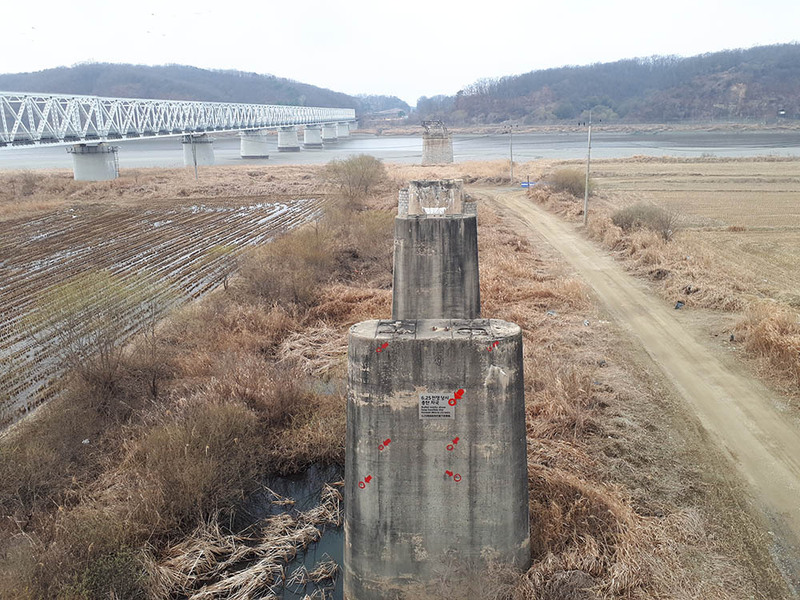 The Bridge of Freedom (left) stands next to an old bridge destroyed during the Korean War. Carrying on with the group, I walked along the line and talked to a solider accompanying us who looked around 20 years old. He was deployed there for two years with another 500 or so soldiers to safeguard the zone from any intruders. It was an exciting trip not only for foreign tourists like us, but also for the locals who joined the tour. A young Korean lady said it was her first visit to the area. Her favorite spot was the Dora Observatory, where she glimpsed the other half of a divided nation about which she had long been curious to know more. Having been a restricted area for decades, the very well-preserved natural ecosystem has become a major eco-tourism destination. The area is also a popular destination among locals, as many areas are open to the general public, while some areas remain restricted. Many families, groups of friends and students visit the sites. With hope, their message of peace and unification will spread across the DMZ.